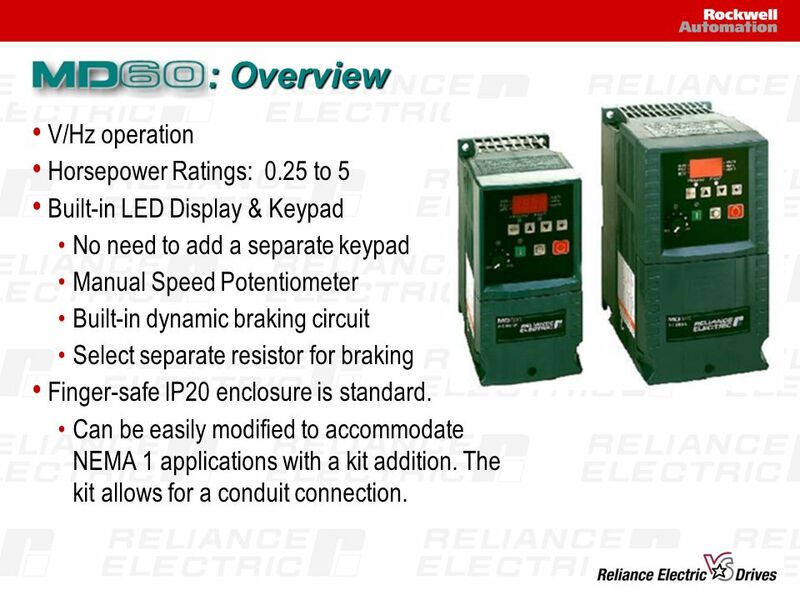 Built-in LED Display & Keypad No need to add a separate keypad Manual Speed Potentiometer Built-in dynamic braking circuit Select separate resistor for braking Finger-safe IP20 enclosure is standard. 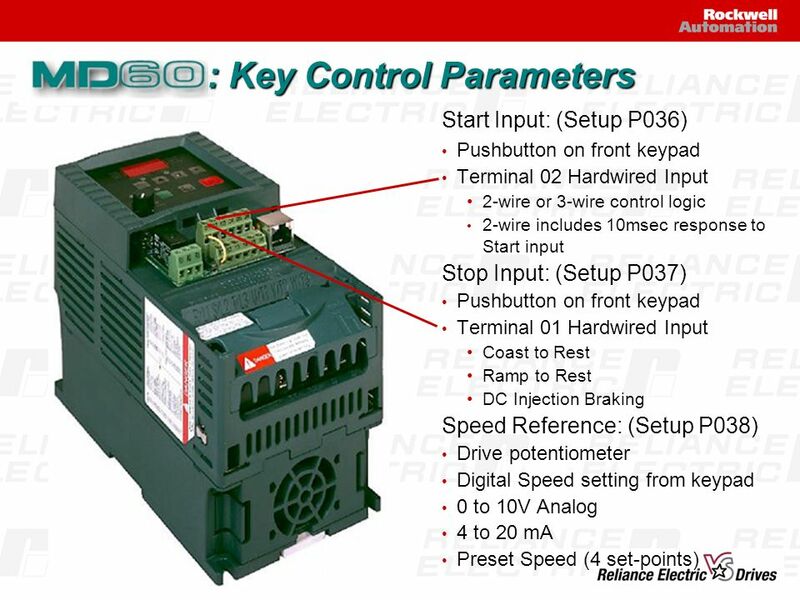 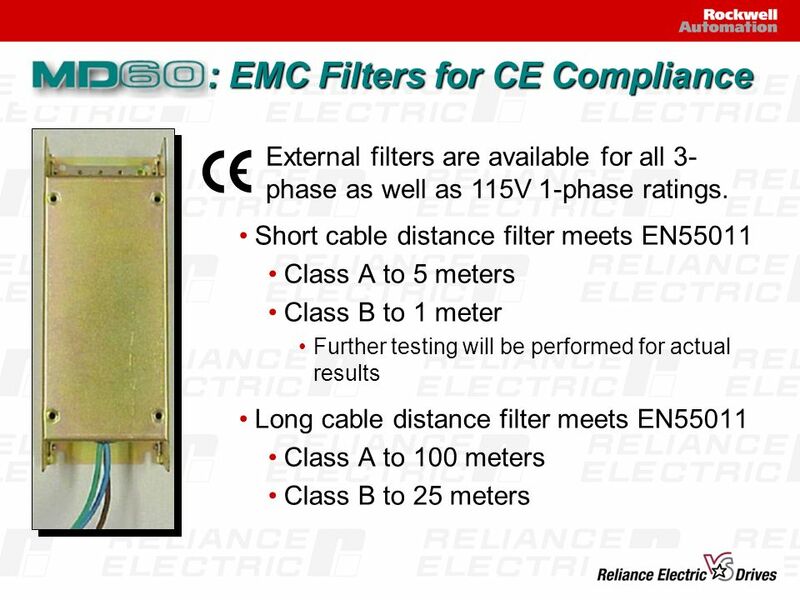 Can be easily modified to accommodate NEMA 1 applications with a kit addition. 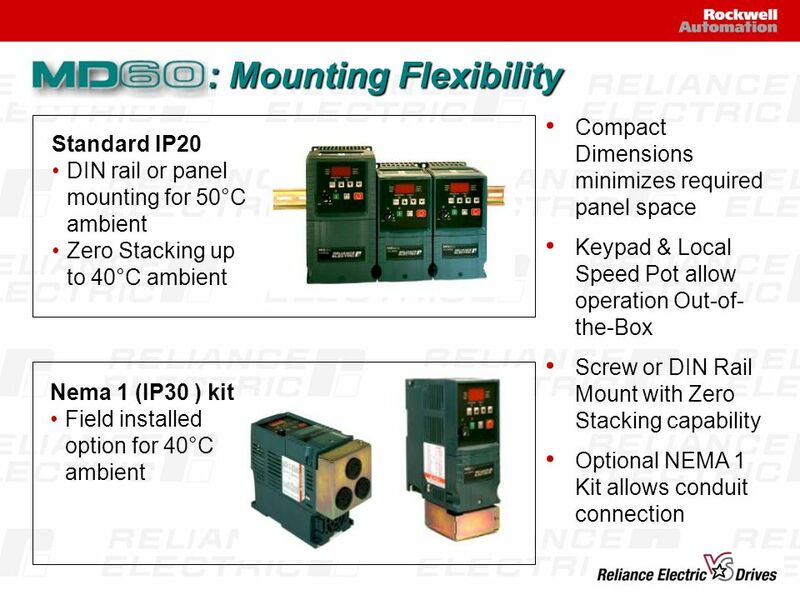 The kit allows for a conduit connection. 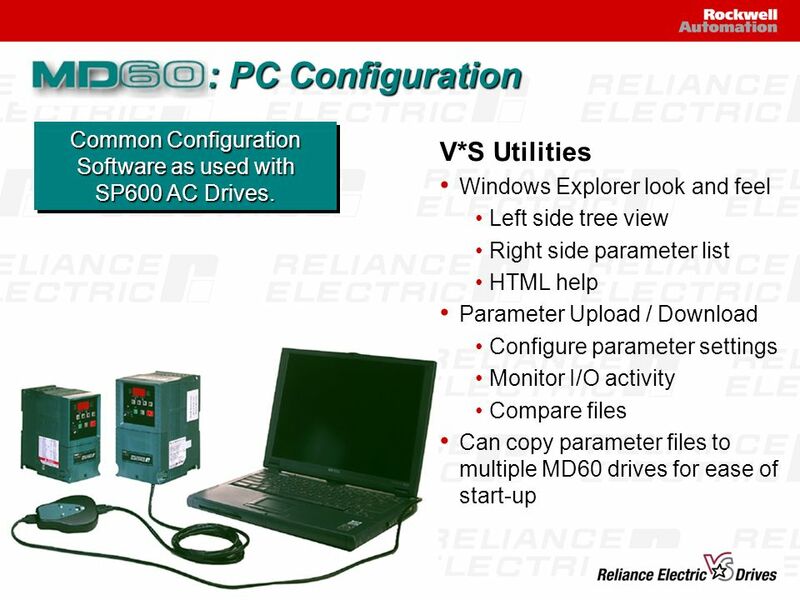 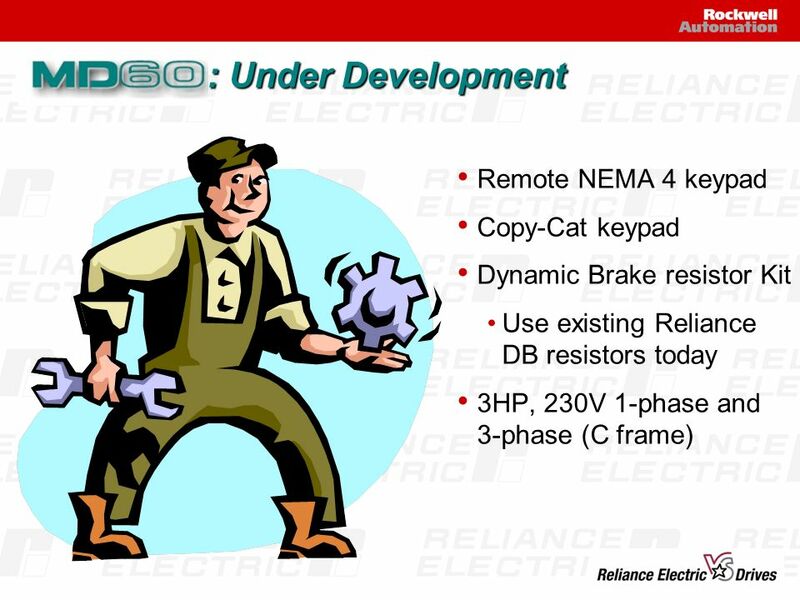 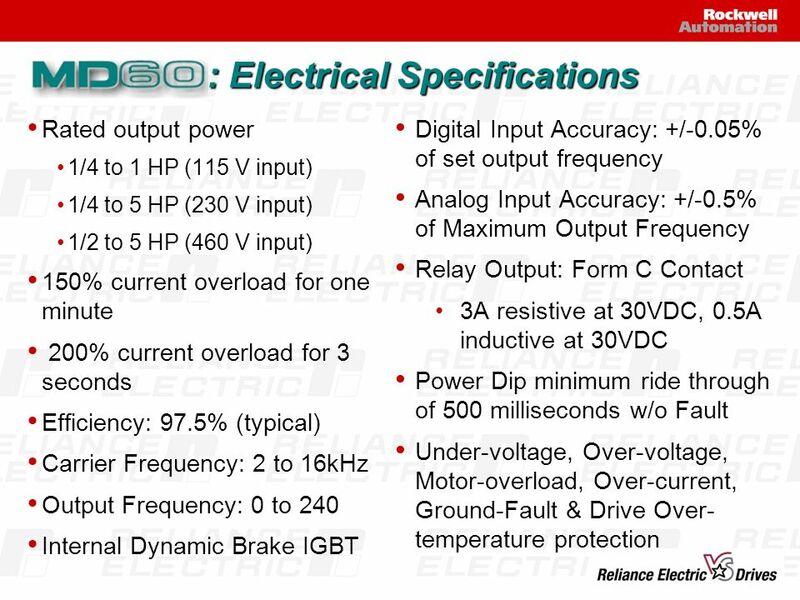 12 Common Configuration Software as used with SP600 AC Drives. 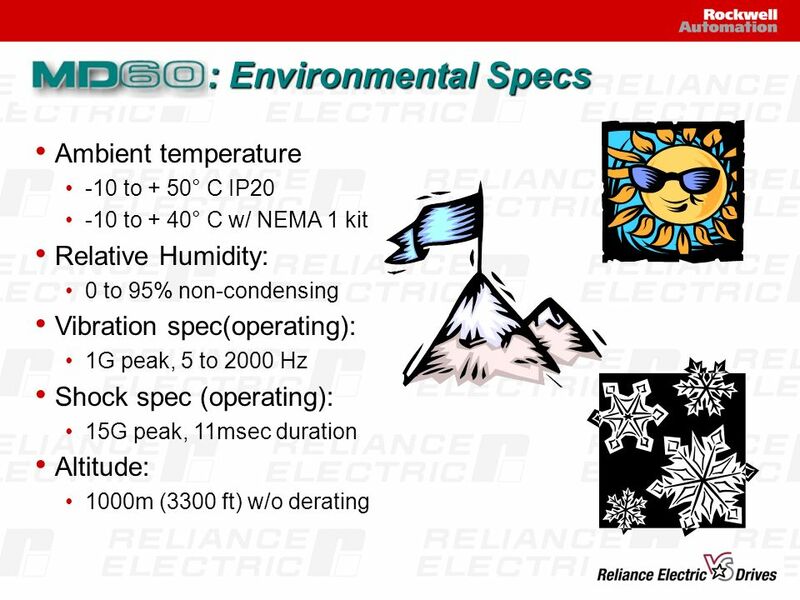 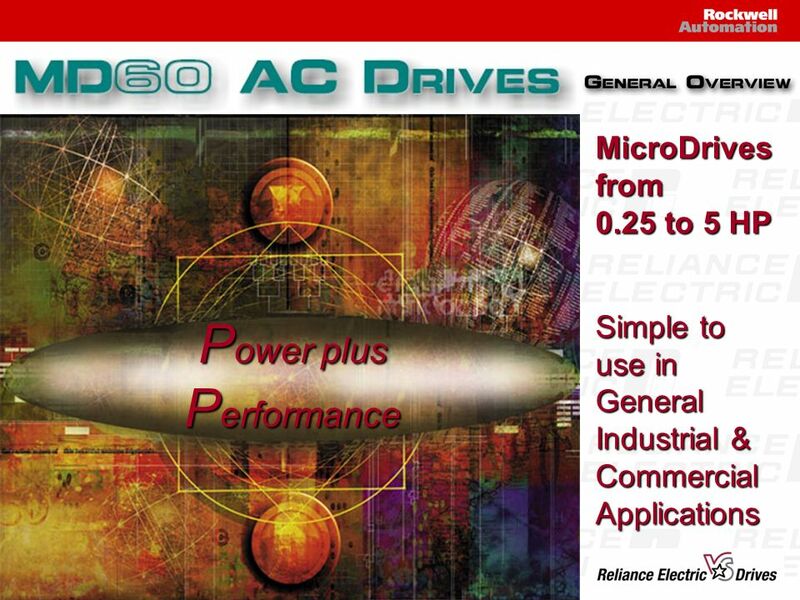 It accommodates customers that only desire V/Hz performance in a simple package from 0.25 to 5 HP. 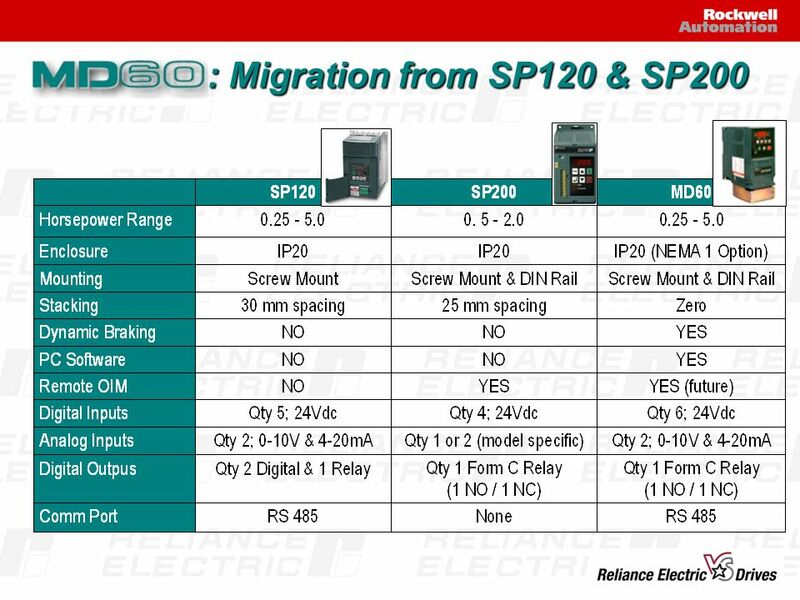 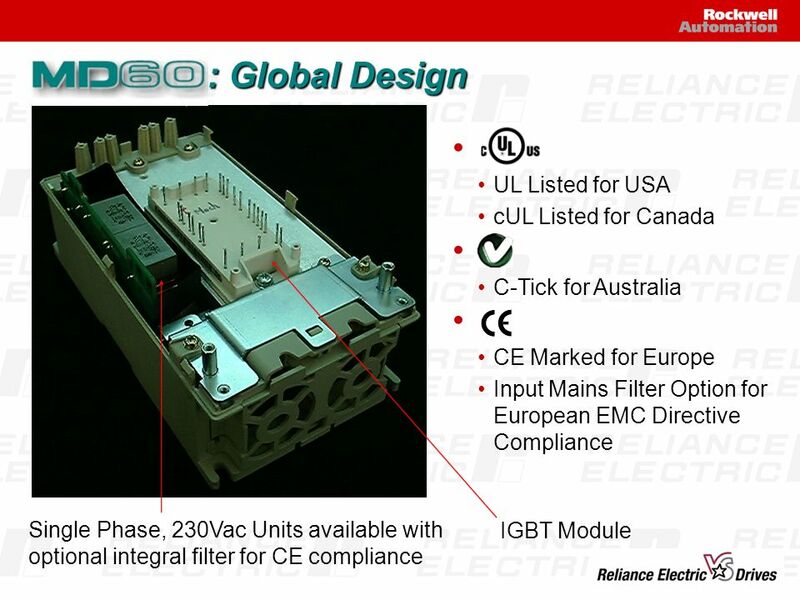 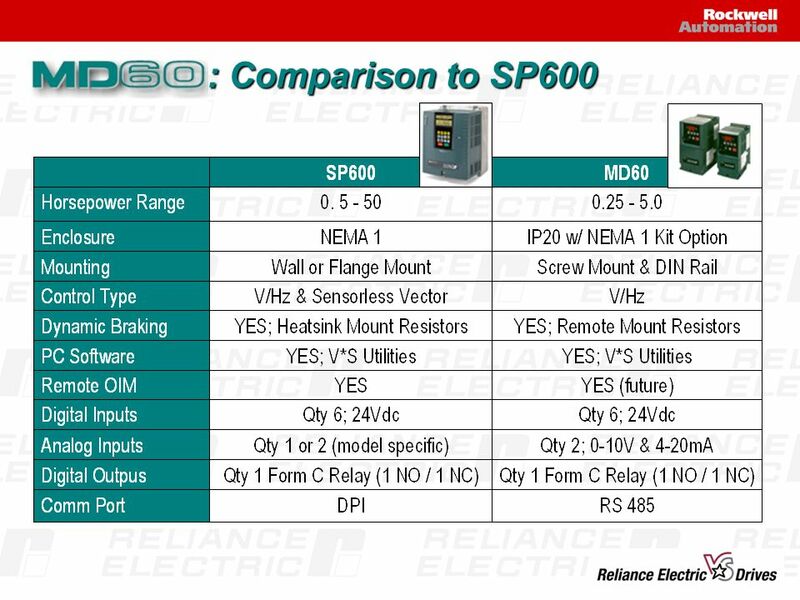 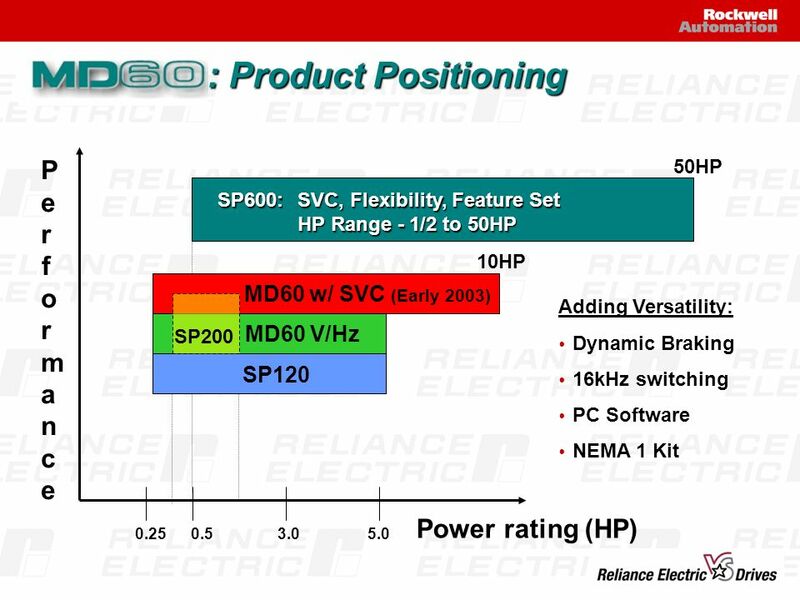 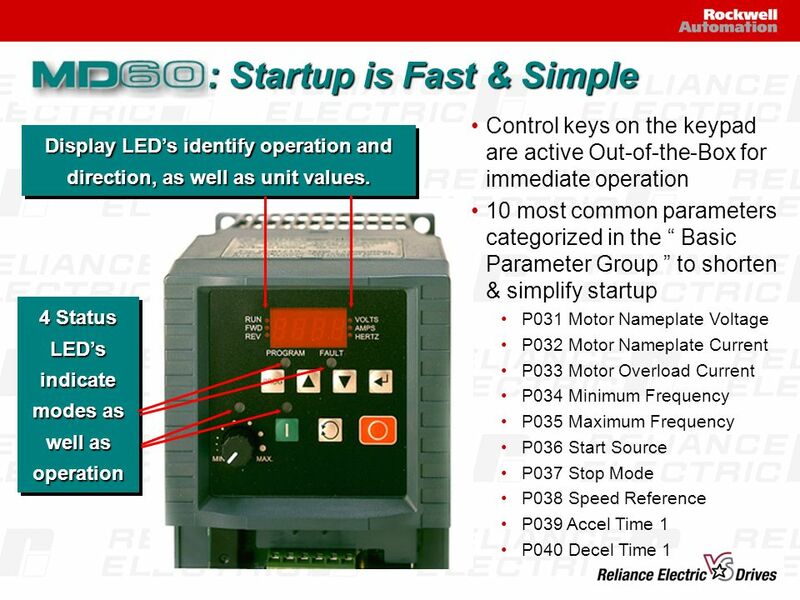 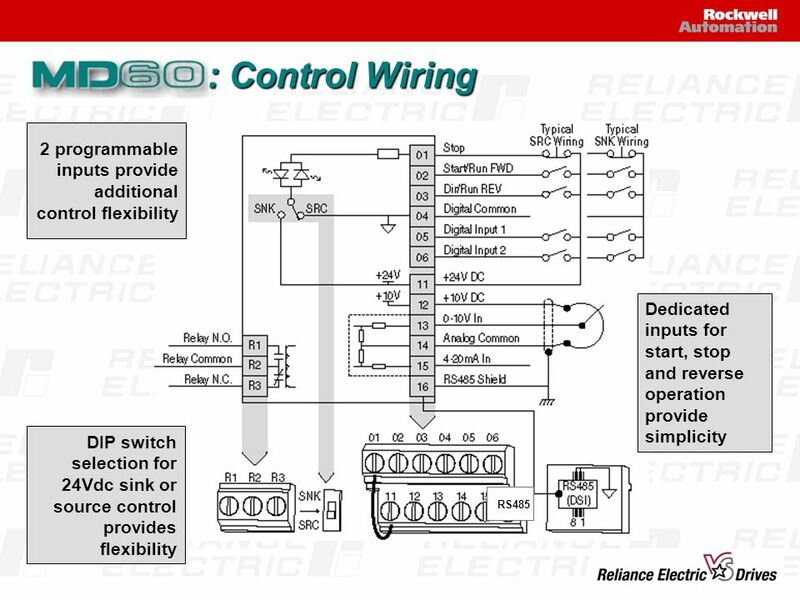 MD60 replaces to SP120 & SP200 to simplify our product line. 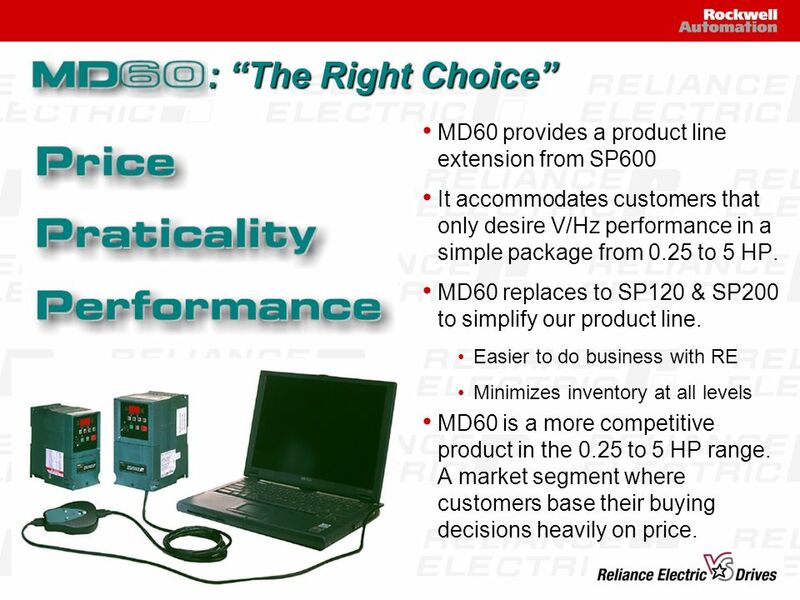 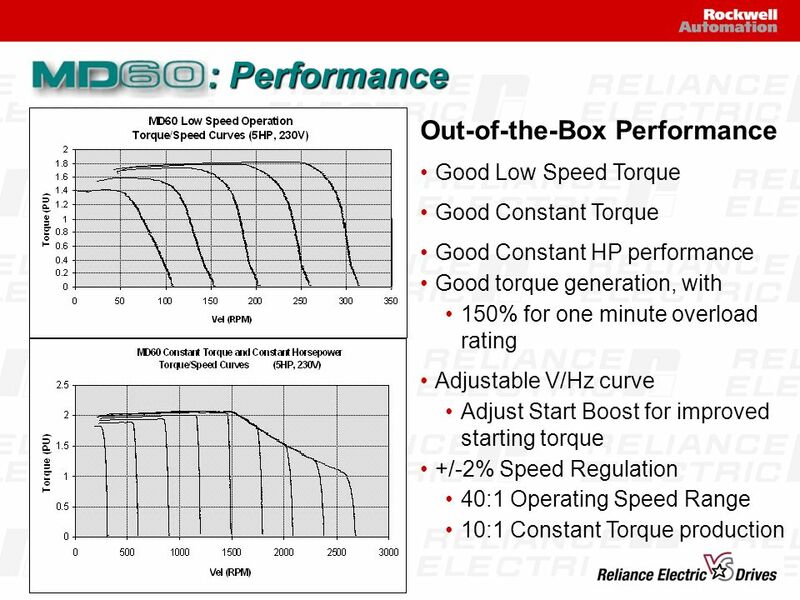 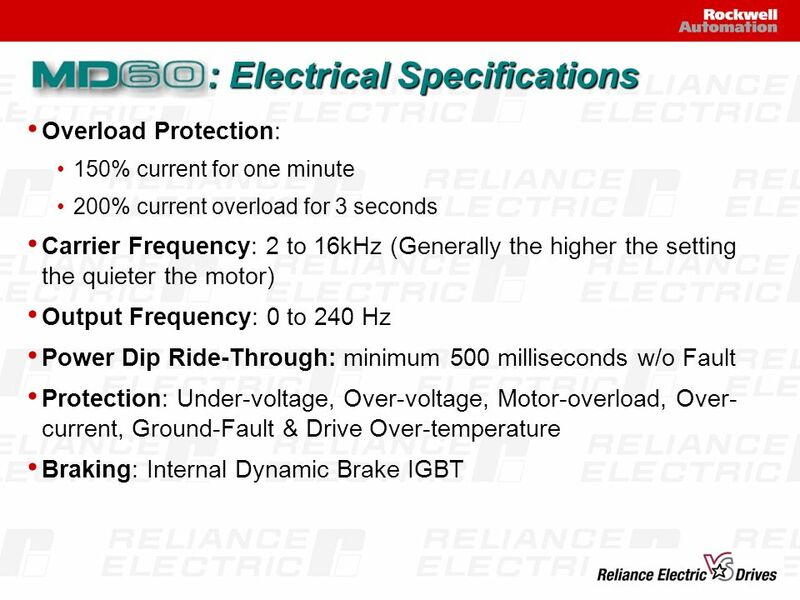 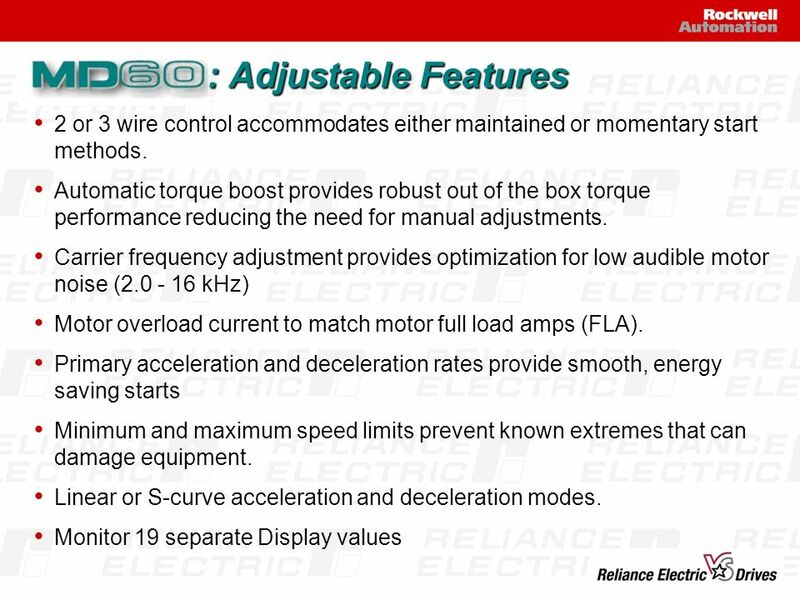 Easier to do business with RE Minimizes inventory at all levels MD60 is a more competitive product in the 0.25 to 5 HP range. 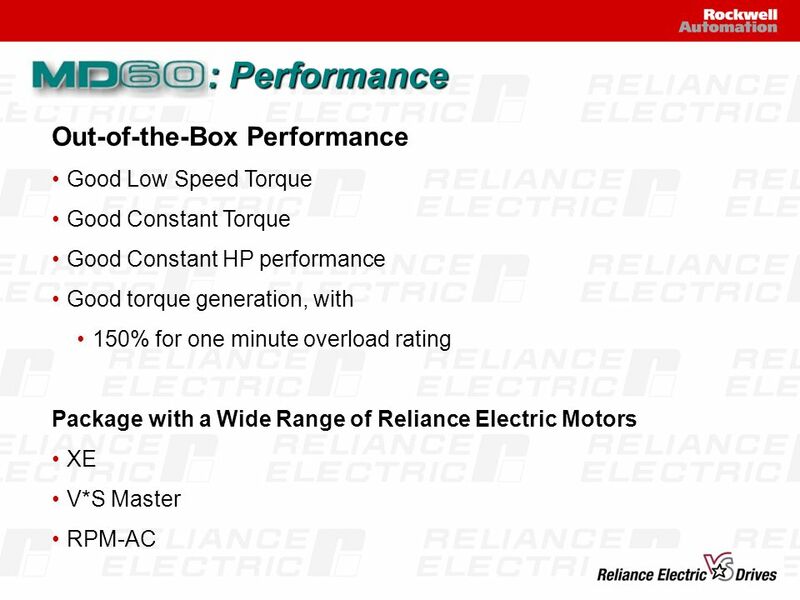 A market segment where customers base their buying decisions heavily on price. 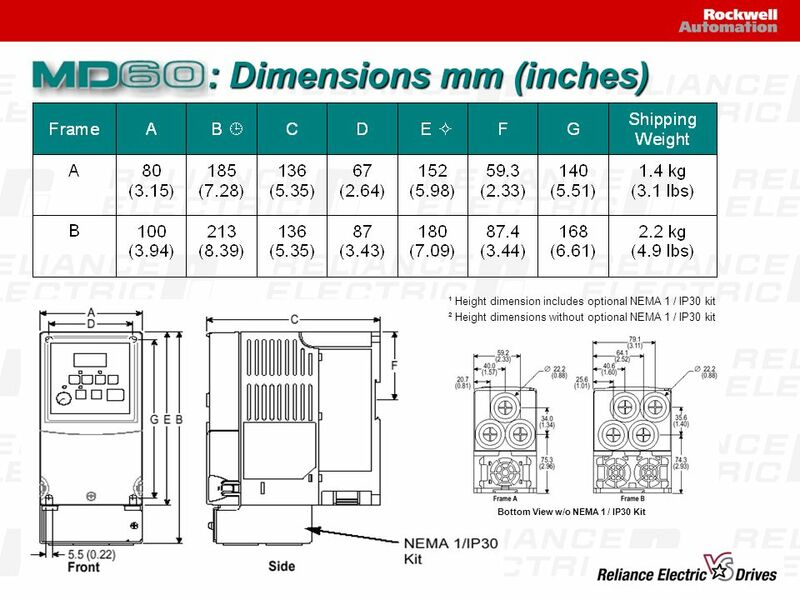 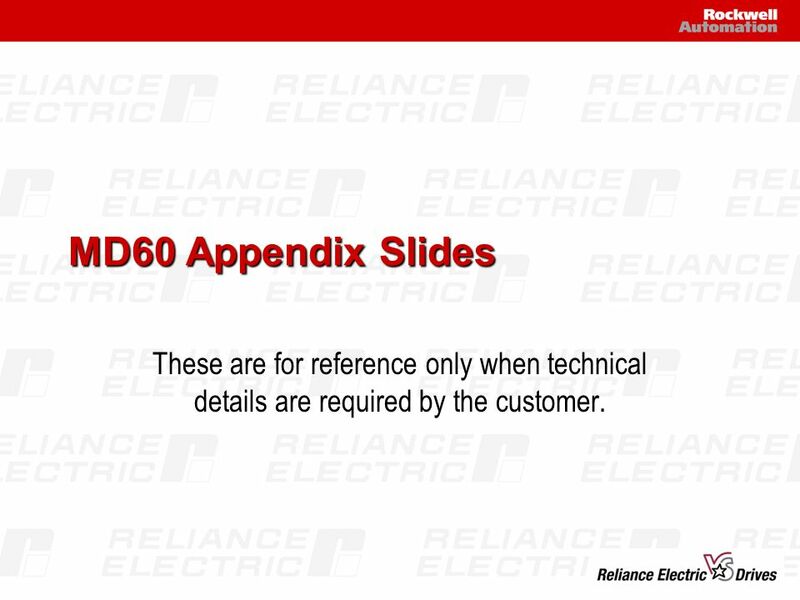 16 MD60 Appendix Slides These are for reference only when technical details are required by the customer. 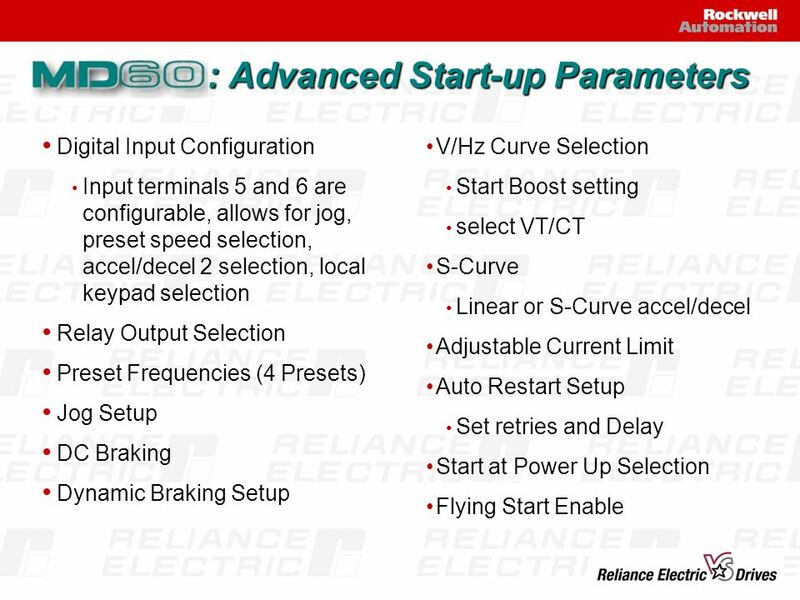 Download ppt "Power plus Performance"
Automation and Drives s SIRIUS 1 s s SIKOSTART Soft Starts. 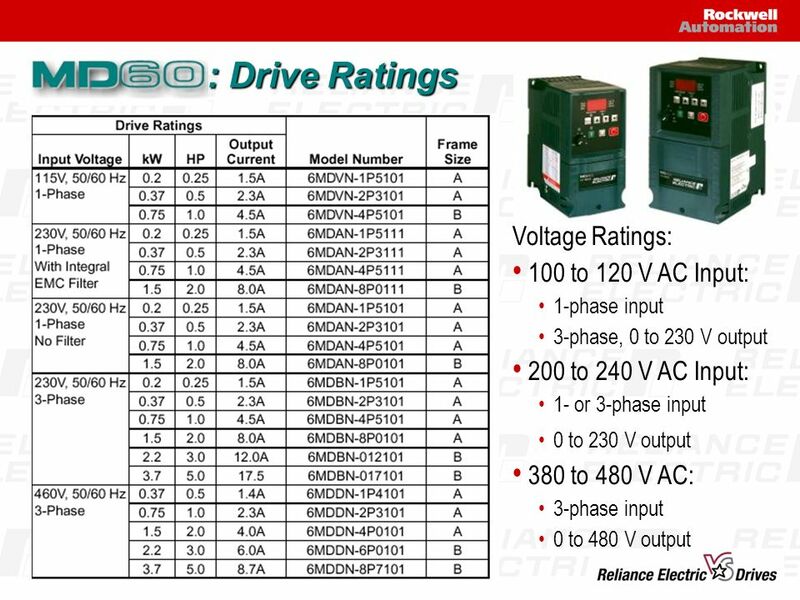 SITOP select Automation and Drives SITOP select Electronic Diagnosis Module Fault diagnosis – rapid and reliable.